This is a rectangular Indian Gasoline porcelain sign. This particular Indian Gasoline sign is very colorful. 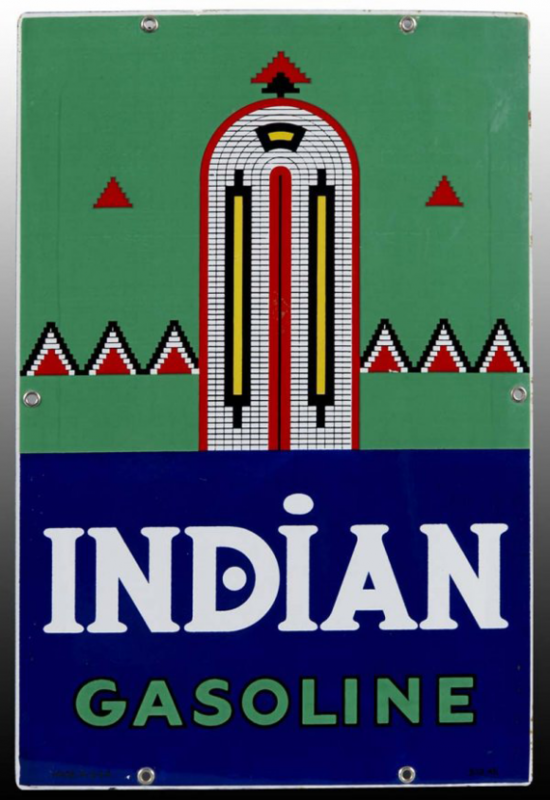 It reads, “Indian Gasoline” and features a red, white, and yellow beaded Native American design against a teal background.